Looking For The Best Speakers For Electronic Drums? 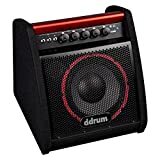 Here’s a look at our favorites, including our top pick the – ddrum DDA50 50W Electronic Percussion Amp. It doesn’t make sense to buy a quality electric drum set and a cheap amp. Just as a good amp can maximize your electric drum kit’s potential, a bad one can make great drummers sound like kindergartners banging on trash cans. That’s true whether you’re playing for an audience, rehearsing with a band, or playing in a studio. If you’re a serious drummer, you need a quality amp that’s capable of capturing and amplifying a wide range of sounds, from the low-pitch kick pad to the high-frequency snare and cymbal pads. When you’re looking to buy an amp for any instrument (not just the electric drums), it’s important to consider what you need the amp to do. If you’ll be playing at home or in a studio, a small-watt amp will do just fine. If you’re rehearsing with your band, you’ll need something with a little more juice to keep up with your bandmates. And if you’re responsible for providing your own amp and speakers for a performance, you’ll need a high-watt amp that can fill the room. Quality is important at every size and should never be sacrificed—a 20-watt amp should sound just as clean as a 50-watt amp when it’s within its intended range. 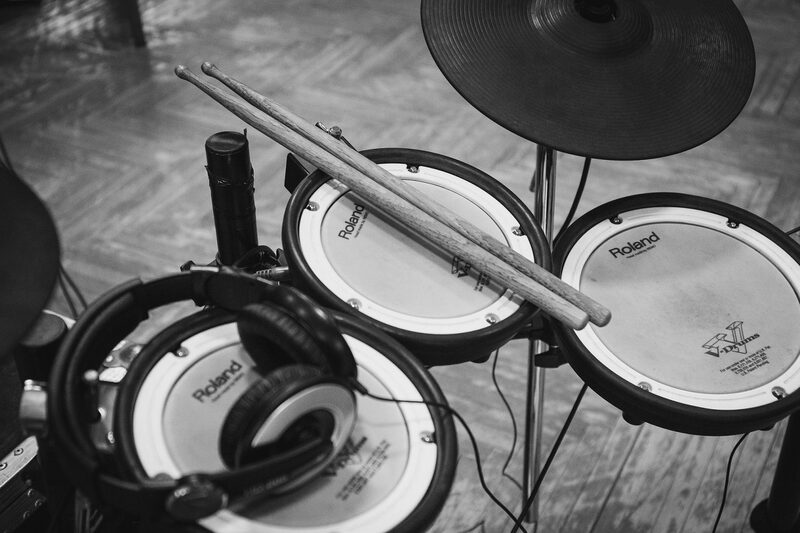 As you’re looking around for the best speakers for electric drums, here are a few things to pay attention to. 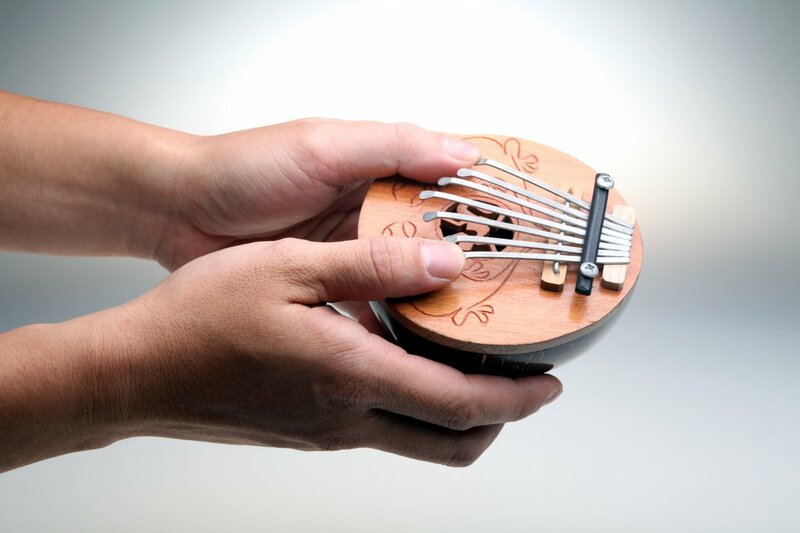 Wattage – higher wattage translates to cleaner tones when you crank the volume. If you’re comparing two amps with different wattage side-by-side, don’t necessarily focus on how loud each one can get—pay attention to the detail of the sound. You don’t just want an amp that will fill the room, you want an amp that will fill the room with crystal clear sound. 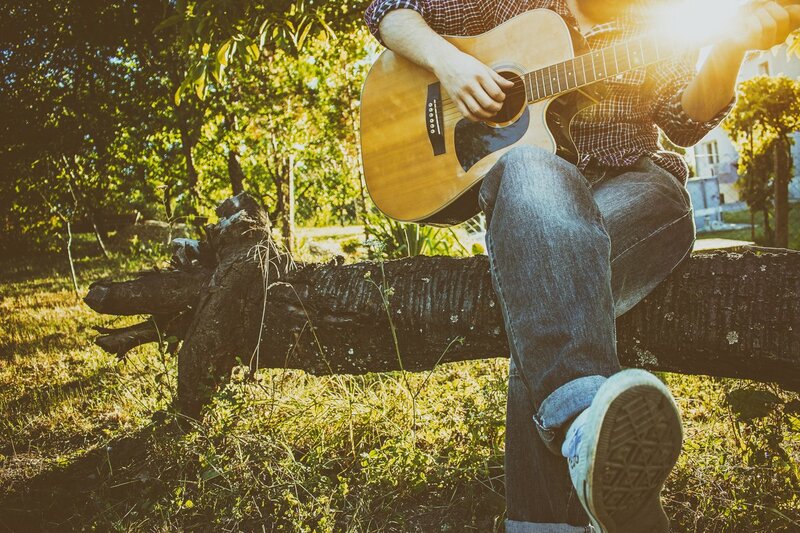 Portability – if you’re a gigging musician who needs to transport your equipment to rehearsals and performances, you’ll want an amp that’s portable. Consider how much the amp weighs, how wide it is, if it has a handle or strap, and if it has a travel case to protect it during transport. If you’ll just be playing your drum kit at home or in a studio, portability isn’t as important. Equalizer – a two-band EQ lets you alter the frequencies of bass and treble. A three-band EQ gives you control over bass, mid, and treble. 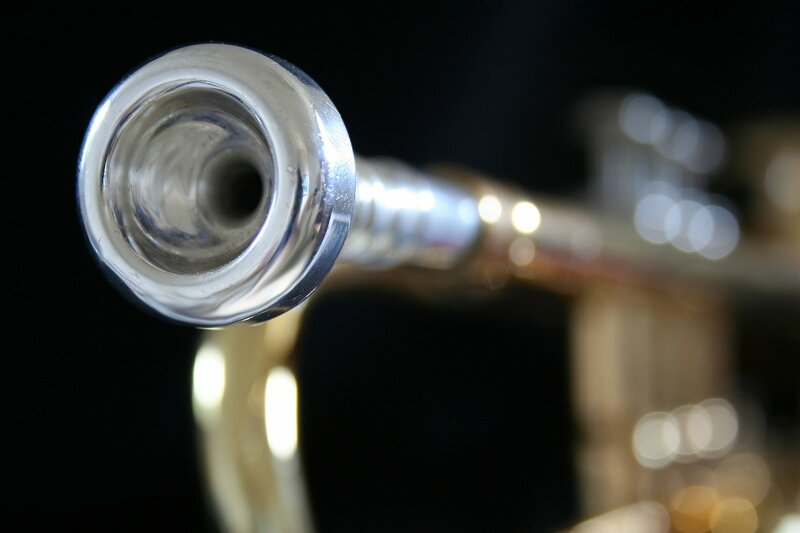 Beyond that, higher-EQ bands offer additional control within the bass, mid, and treble ranges. Most people will be more than happy with 2 – 3 EQ bands, though professional sound equipment can have 20 – 30 EQ bands for maximum control. 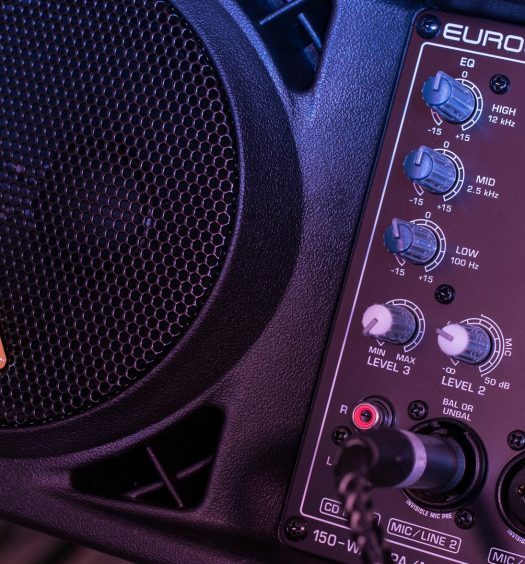 Output jacks – if you need to connect to other amps, recording devices, or headphones, make sure your amp has the right output jacks to do that. 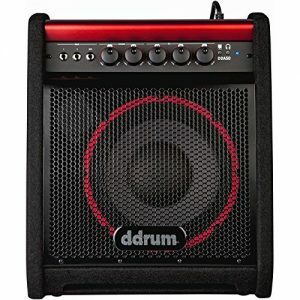 The ddrum Kickback Amplifier is engineered specifically for electric percussion instruments, delivering crystal clear bass, mids, and trebles. 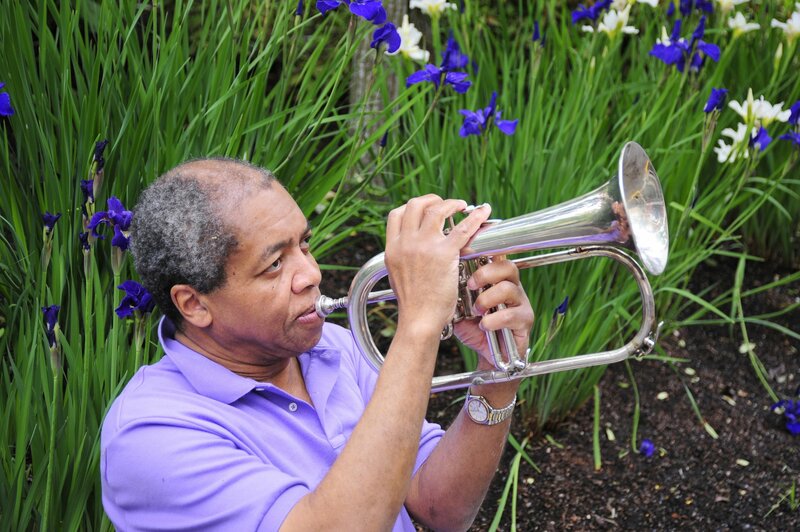 It also packs the 50-watt punch you’ll need to crank up the volume. It’s a compact amplifier with a 10″ subwoofer, an adjacent 2-1/2″ tweeter, and a three-band EQ that offers better control of the full range. 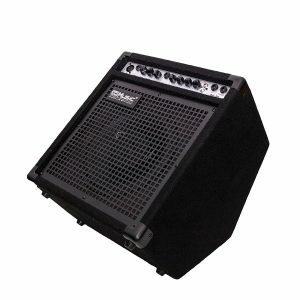 The Peavey KB 1 20W Keyboard Amp can do much more than just amplify keyboards — it’s a self-contained, compact sound system that’s perfect for electric drums, especially in band rehearsals and live performances. This amp gives drummers the power and reliability they need with a feature set that brings everything together in one convenient package. The 20-watt model has 2 separate channels with a 2-band EQ per channel, along with a headphone out auxiliary port. 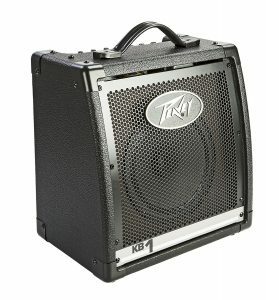 If you need more than 20 watts, you can upgrade to 50, 60, 75, or 100 watts within the Peavey KB family, with the higher-wattage amps offering additional channels and functionality. 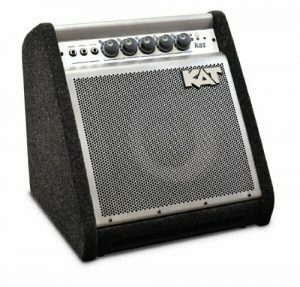 The KAT Percussion 50-Watt Amp is another solid 50-watt option for drummers who need greater volume. It’s an ideal choice for smaller venues and studio environments, and is tailored to produce the most accurate acoustic response for electric drums. You’ll get a 3-band EQ to fine-tune your e-kit, and 3 quarter-inch inputs for other instruments or sound sources. It also has a large carry handle for easy portability. If you’re looking for greater frequency response control, this is the amp for you. 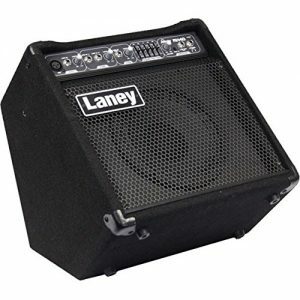 The Laney AH40 has a master 5-band graphic EQ that allows for detailed, efficient control of tone shaping. It’s designed to be flexible with 3 independent channels that can accommodate a variety of input options simultaneously via XLR, Jack and Mini Jack connectors. On top of that, the front panel features a line out to link with another amplifier, plus a phone jack for silent use. The AH40 features a dual-position cabinet design so that it can be used as a conventional stage combo or in kickback position as a monitor. With an 8-inch custom-designed woofer and a 40-watt RMS power section, it has an impressively punchy response for a compact amp. The Coolmusic DK-35 is designed specifically for electric drum sets as an active monitor speaker. It has 2 channels, a main EQ with bass and treble controls, a built-in reverb with level control, a headphone socket for private listening, and a DI output that allows you to connect to a PA or recording system. This is a great choice for drummers looking for good quality that fits a smaller budget. Before you make your decision, take a moment to consider your needs again. If you need the full power of a 50-watt amp, the ddrum DDA50 and the KAT Percussion 50-Watt amps are exactly what you’re looking for, packing enough juice to crank the volume without sacrificing sound quality. If you’re playing in a studio or in front of a small audience, the Peavey KB 1 and the Laney AH40 offer similar quality at a more attractive price point. 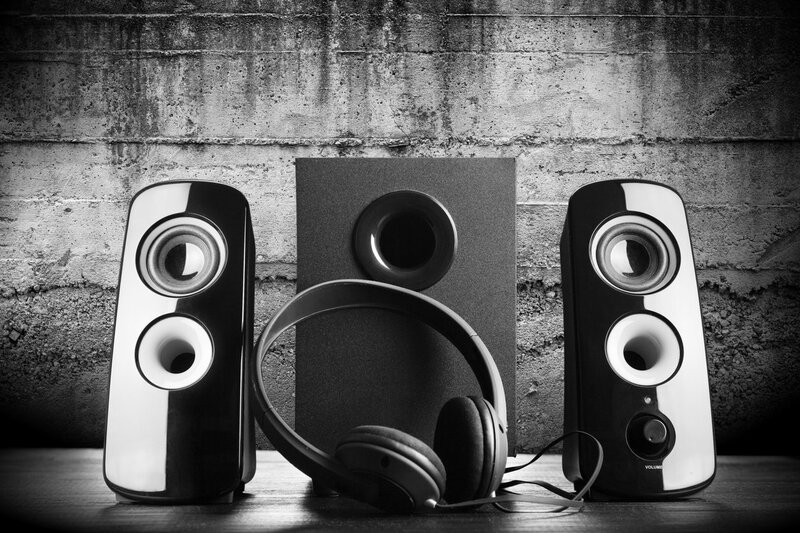 If you’re just looking for an active monitor speaker, the Coolmusic DK-35 is a great choice.